A kite is a flying device built of a lightweight wood frame that is covered with paper or cloth and attached to a long line. Kites may be constructed in many sizes and shapes and are flown for pleasure or scientific purposes. There has been controversy as to who invented the first kite. It is known that kite flying is a national pastime of several countries of Asia. It seems that the most unusual and beautiful kites are made in Japan and China; however, it is the Western countries where kites have been put to a variety of uses. Don’t forget the infamous kite experiment when Benjamin Franklin flew a silk kite with a brass key in a thunderstorm. He was proving that lightening and electricity are the same thing. By the end of the 19th century, kites were used by most weather bureaus. They were flown with instruments attached to record temperatures, humidity and wind speed. There are many crafts and activities that accompany a kite theme for preschool. The use of kites can also be included in weather, wind, or seasonal themes. Cut out a kite shape from poster board. Prepare cups with a small amount of light corn syrup mixed with food colors. You can also add a few drops of food extracts to make it scented. Paint designs on the kite surface (best to use cotton swabs since they are disposable). Use several colors for a beautiful multicolored picture. This project will take a longer time to dry, however, the shiny surface is worth the wait. Attach a yarn or fabric tail to the kite using a stapler when finished. These kites are colorful to hang in the classroom or attach to a bulletin board. Title the board with "You Make Me Feel Like Flying" or "Soar into Spring with Kites." 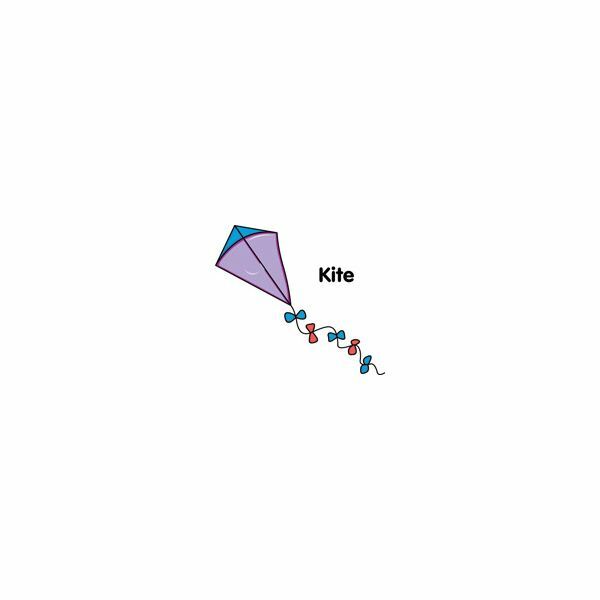 Make a kite-flying picture with 3-D kite shapes. Cut kites from colored construction paper. Glue Styrofoam packing pieces to the backs of these shapes before adhering them to your main paper. Glue pieces of yarn or strings for the tails and draw in a pretty sky with crayons or markers. Invite the children to cut large kite shapes (diamonds) from wallpaper samples or fabric. Glue this shape onto cardboard. Now, the teacher can cut this kite into halves or fourths. Instruct the children to match the pattern and pieces together to make a completed kite. When making several kites, give each kite a number and mark all the pieces with this number on the back of the cardboard pieces. This helps to keep each puzzle together. Store the pieces in plastic zipper-type bags. Make different colored kites out of construction paper. Attach a string to each shape. Place all of the kites into a box with the strings hanging over the edge. Have the children pull one string out of the box at a time and identify the color. I knew the time was right. Let the children help to make sandwiches with lunchmeat or tuna salad. An adult can cut each sandwich diagonally in half to form two kites. The children can use narrow carrot strips for a tail line and pickle slices as the bows on the string. This makes a cute sandwich plate! As you begin to accentuate the spring weather and outdoor play, have the children get involved with these activities. These projects will help children to see the beauty of colorful kites in the sky, and maybe as an outdoor activity you can fly a real kite together! The information offered in this article is based on the author's experience as an early childhood teacher.